The weather is changing and spring is finally here. Now is the time to startthinking of that garden you want to put in or adding to an existing one. I know just the way to do that! We are currently taking orders for our annual plant sale. Indulge your love of plants by choosing from several varieties of organic,field-grown perennials, including many plants native to Maine or New England. Prices match or beat those you’d find in nurseries, but a portion of every sale goes to support PICA’s work. And you know these plants have been through the toughest that a Maine winter can deal out! 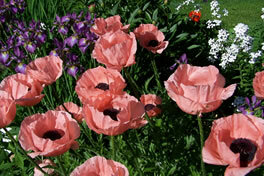 The deadline for ordering plants is May 1. Plants will be available for pickup mid-May. If you are interested in ordering give me a call or send me an email and I will be happy to send you a listing. You can also check out the listing by clicking here PICA Sale 2019and get an order form here PICA PICA order form 2019. We are trying to grow the plant sale by finding new sellers: individuals willing to share listings with friends, neighbors, acquaintances and collect their order forms, and then (only if convenient) provide a drop off place for people to pick up their plants. The plants are all organic, field-grown, and super hardy from Rebel Hill Farm run by Pete and Julie Beckford. These plants practically sell themselves, but still seem to need a little human help. So, if you are interested in selling plants give me a call at 947-4203 or email me at elleng@pica.ws or contact Francine by phone at 945-0020 and email at fraw@gwi.net. On Ju ne 12, 2017. 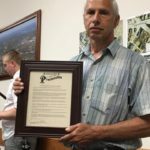 The Bangor, Maine, City Council issued a Proclamation “Reaffirming Support For and the Value of Diversity.” The Council took this action on response to PICA’s petition to “Affirm and Defend Bangor’s Community Values,” which we presented at a City Council meeting on May 22. PICA thanks all of you who worked to make this happen. We would also like to thank the members of Bangor’s City Council and City staff for working with us in an open and collaborative process to make Bangor a better place for all of its residents and visitors. El Salvador Bans Metal Mining! 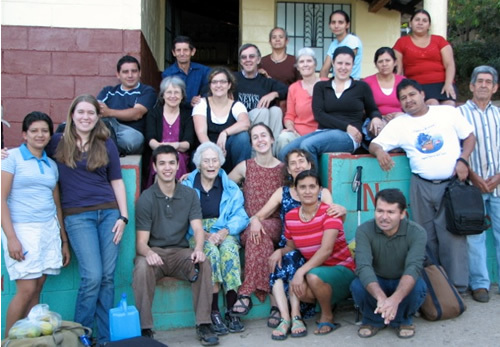 On April 26, 2007 the Dignity For All committee presented a 3-hour class, “Who Is The Other,” addressing immigration issues with an emphasis on Central American. The class was offered through the Penobscot Valley Senior College. We are thinking of doing a longer, 6-session class in the Fall of 2017. Meanwhile, you can check out the handouts and presentations from the class here. One of President Trump’s first official acts was to withdraw from the Trans Pacific Partnership (the TPP), but Trump did not kill the TPP. It was already dead when it was signed by President Obama last February. Congress could have ratified it by a simple majority vote at any time after that, but the votes were never there, thanks to years of work by millions of Americans to hold our elected representatives accountable. Trump took a staged “victory lap” when he put a stake into the heart of a treaty that was already dead and cold, but the victory was ours, not his. We should celebrate, but this is no time to let down our guard. There are still plenty of pending trade agreements to worry about, starting with Trump’s promised renegotiation of NAFTA. Any new agreements that the Trump administration negotiates could well be worse than what we have now. The good news: Activists in countries around the world have learned how to block bad treaties and advocate for fair trade agreements that put people and the environment above corporate profits. Together we can win! You can keep up with developments by checking the Web sites of the Maine Fair Trade Campaign and the Citizens Trade Campaign.